Jake Berry is a poet, musician and visual artist. The author of Brambu Drezi, Species of Abandoned Light, Drafts of the Sorcery, Genesis Suicide and numerous other books. He has been an active member of the global arts and literary community for more than 30 years. His poems, fiction, essays, reviews and other writings have been published widely in both print and electronic mediums. In 2010, Lavender Ink released a collaborative book, Cyclones in High Northern Latitudes, with poet Jeffrey Side and drawings by Rich Curtis; and Outside Voices: An Email Correspondence (with Jeffrey Side) was released by Otoliths also in that year. Phaneagrams, a collection of short poems, was published by Luna Bisonte in 2017. He regularly records and performs his compositions solo and with the groups Bare Knuckles, The Ascension Brothers and The Strindbergs. Mystery Songs, his tenth solo album, was released in 2016. 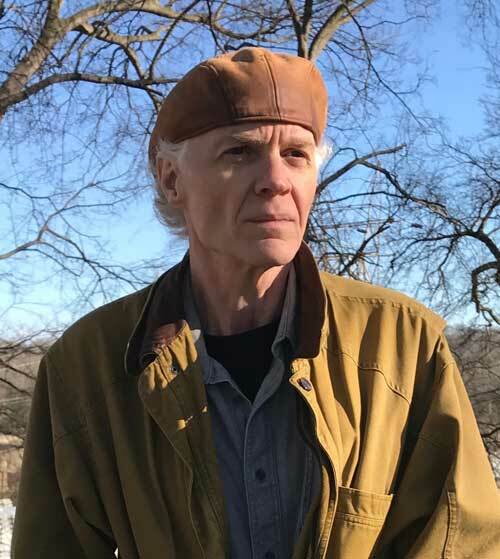 Ongoing projects include books four and five of Brambu Drezi, a new book of collaborative poems with Jeffrey Side, and a wide range of musical projects. A collaborative poem by Jake Berry and Jeffrey Side, with drawings and cover art by Rich Curtis.